This two layer heart beat cake is for serious lovers only. 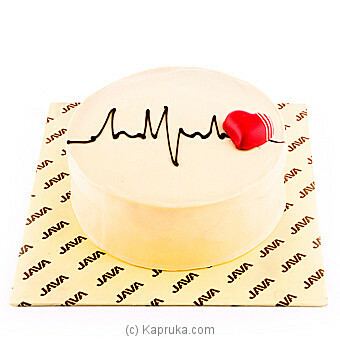 Show your lover the feeling of excitement of `falling in love` or `being in love` with this heart beat cake. It has two layers rich with a dark chocolate and white chocolate and covered with cream cheese frosting. Java Lounge Gift Card. Rs. ..